Public Transport in Seoul is efficient. 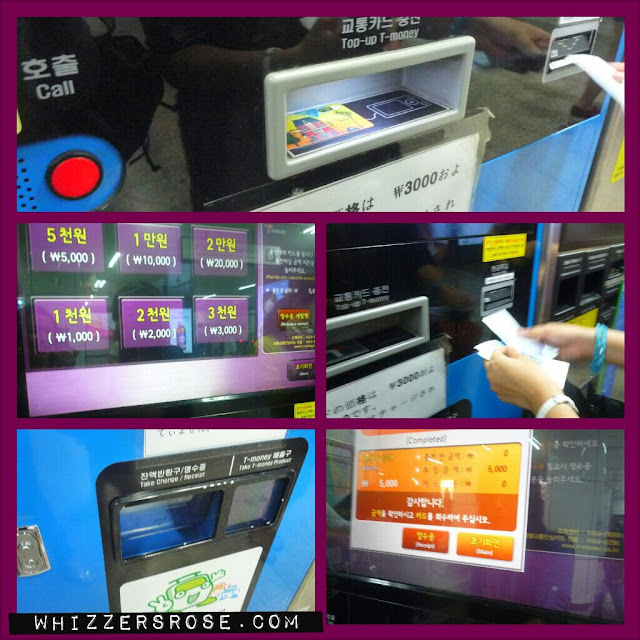 One of the biggest challenges was to figure out how to get a T-money card and load it through a vending/reloading machine. Surprisingly, it was easy. 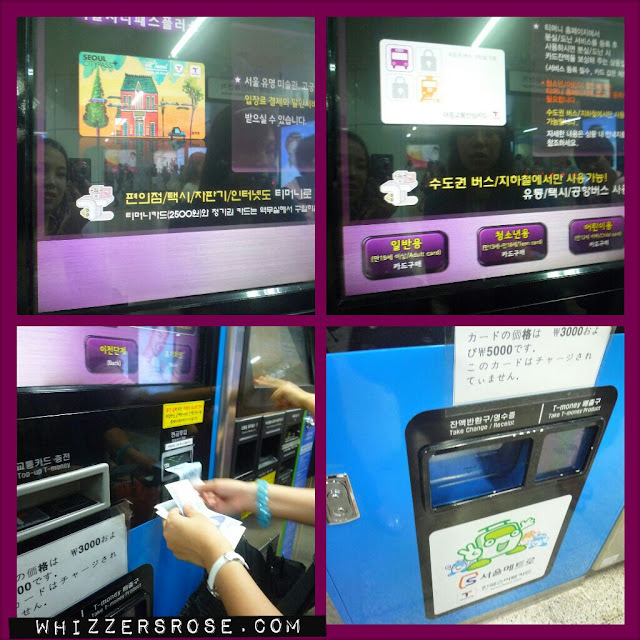 Clockwise from top right picture, Tap the screen select your T-money card, select adult card and then it would proceed to the next screen where it would ask for your money, insert your bills(note: the machine only accept small bills) then the bottom dispenser will light if you have a change (if for example you're only loading 5,000 won and you inserted 10,00 won, the machine will give you your change) then the right dispenser is where you will get you T-card which comes in a cute box-much like a Capri Cigarette box. How to load your T-money, place the card facedown on th escanner and then select how much you're going to load from the screen. Insert the bills and voila! 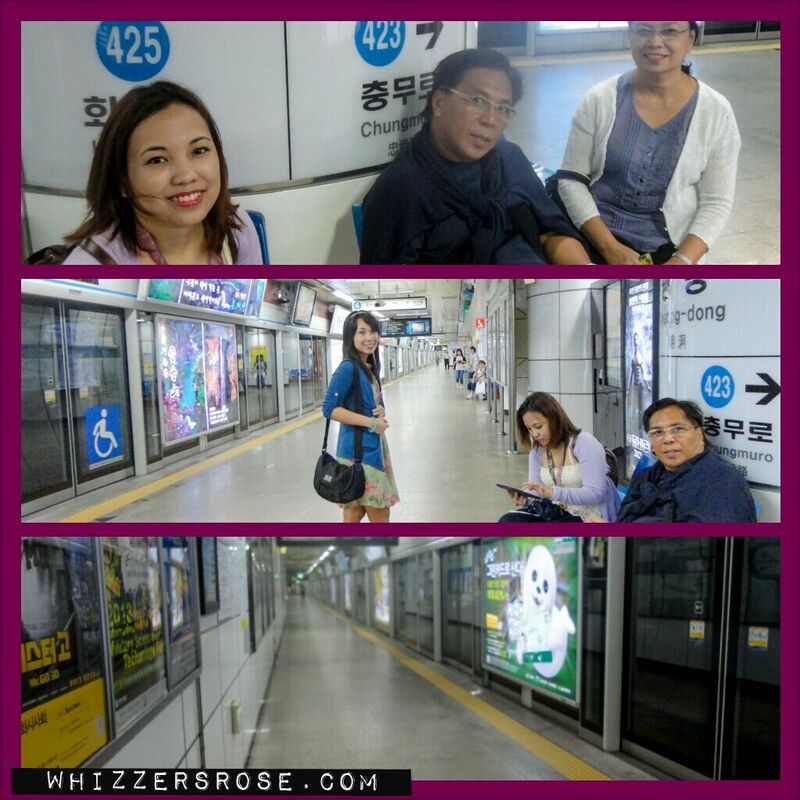 From Myeongdong Station, we rode the train to Changmuro Station which is the next Station in the blue line (line 4). 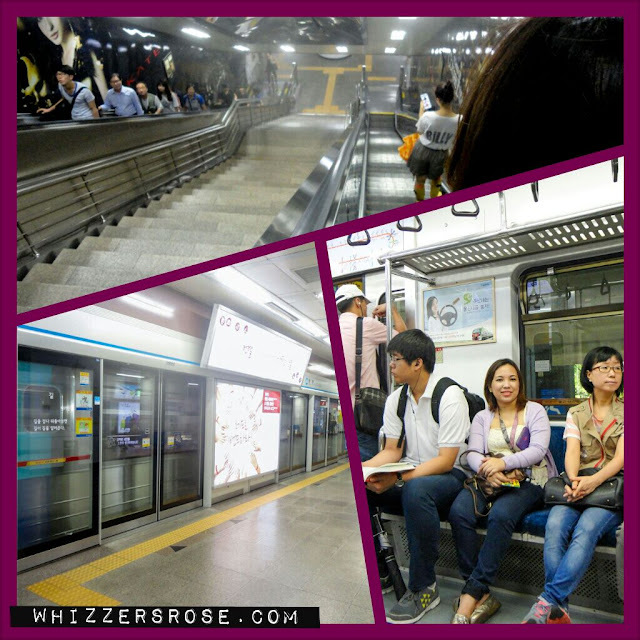 Then at Changmuro, we transferred to the orange line and rode that till we got to Anguk Station. 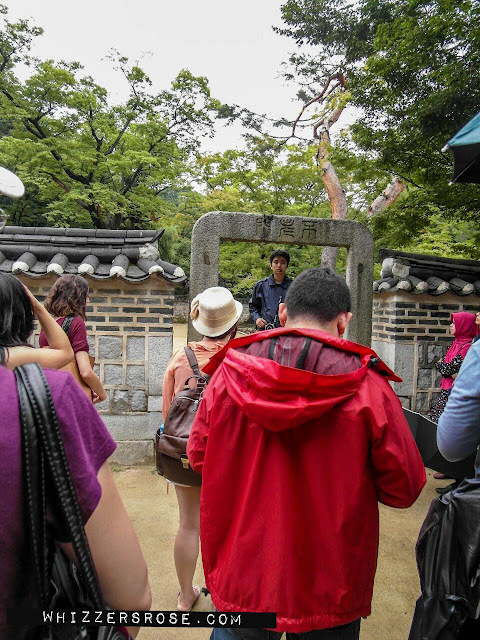 Go out of Exit # 3 and walk past the Hyundai Building and you'd be able to see the Palace Gates of Changdeokgung Palace. One of the first places I listed down while planning this trip was Changdeokgung Palace. 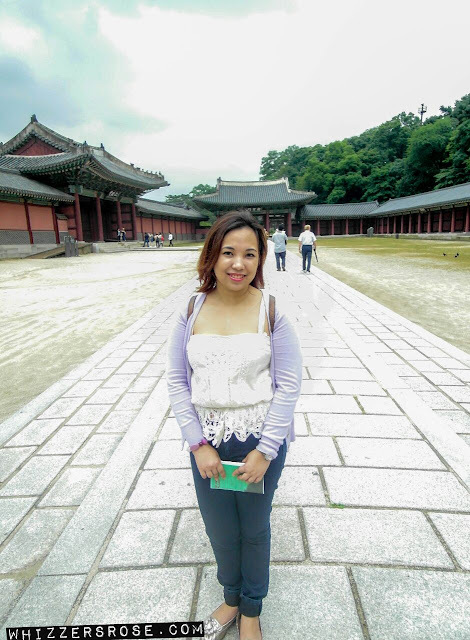 I know that there are a lot of Palaces in Korea and the biggest would Gyeongbokgung but I opted to see Changdeokgung first as its pictures captivated me more than Gyeongbokgung. 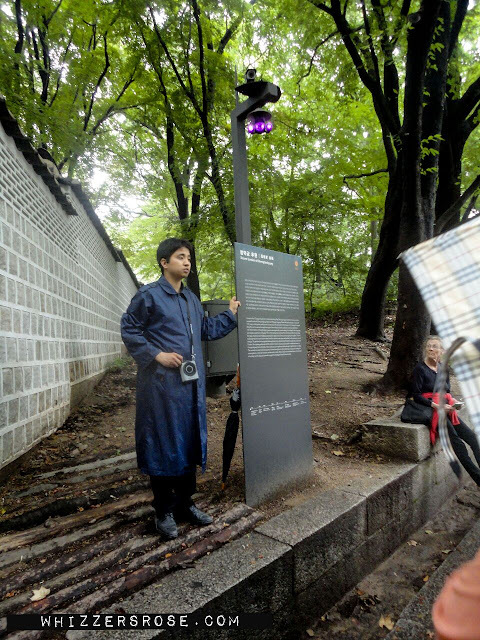 I immediately booked for an 11:30 English guided tour for the "Secret Garden" but we arrived at 12pm already and missed my booking, so we had to wait for another hour and a half for the next English tour. Tried to buy the ticket to the Secret Garden Tour but they won't allow you to purchase since the next tour would still be after 2 hours. You cannot tour the Secret Garden on your own-there must always be a guide since the Secret Garden is huge and you could get lost. OOTD: Sleeveless blouse from Kamiseta, Lavender sweater from Mango, denim jeans form Esprit and gold flats from aerosoles-all bought on sale 50% off hahahaha! Entrance fee is 3,000 won. 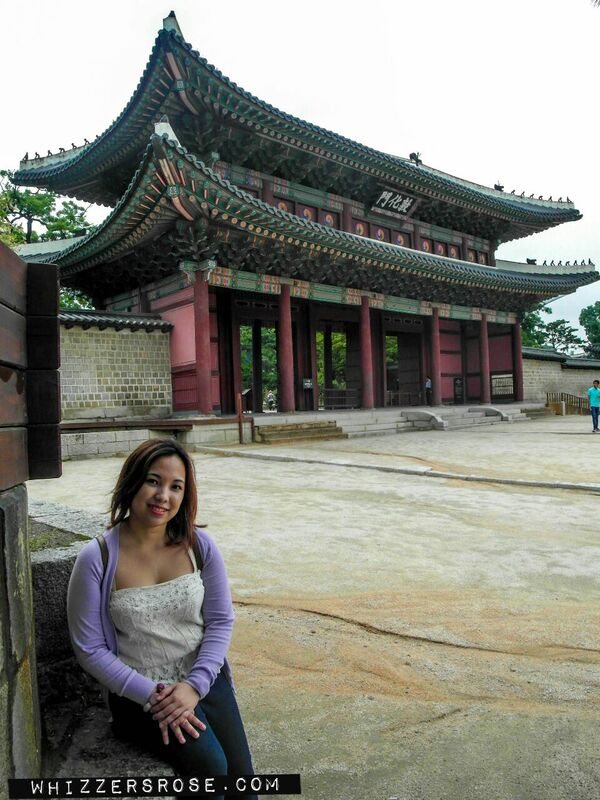 The palace is the second palace after Gyeongbokgung. 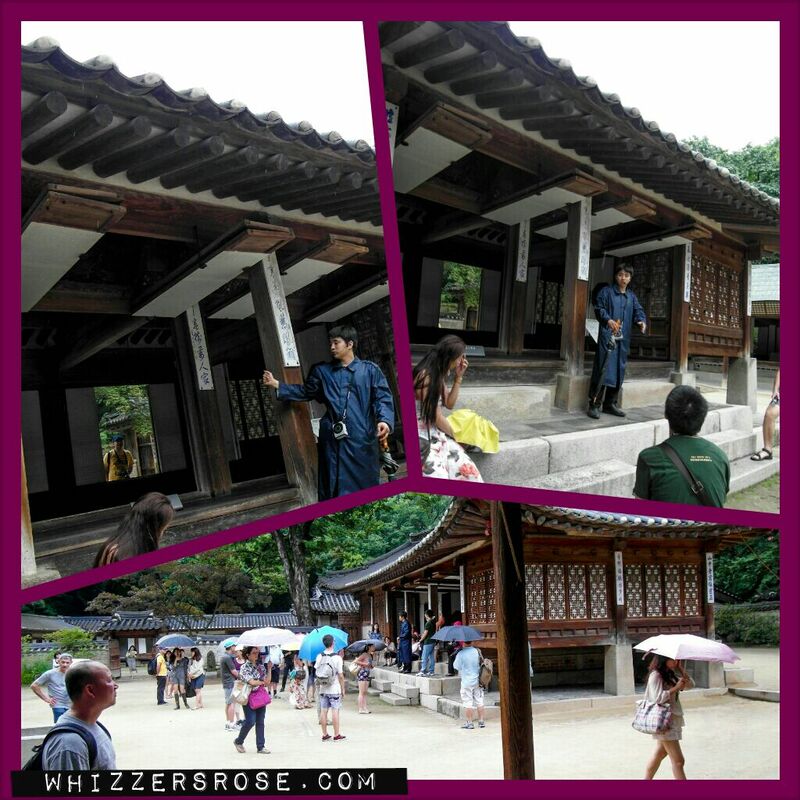 Korea's last Emperor lived here until his death. Our tour guide says he just got the job. Inside the Secret Garden. They say one should not be a quitter but in hiking, quit while your on top- as in top condition. The garden is one heck of a hike so if the tour guide tells you somewhere within the middle that you can go the other way towards the exit-take it and leave especially if you are not used to hiking since the next portion of the hike will lead you to a steeper climb-one that will really consume your energy if this is not the only activity you've planned for the day or if you haven't had exercise for at least a month prior to this and if you are not wearing comfortable shoes for hiking. 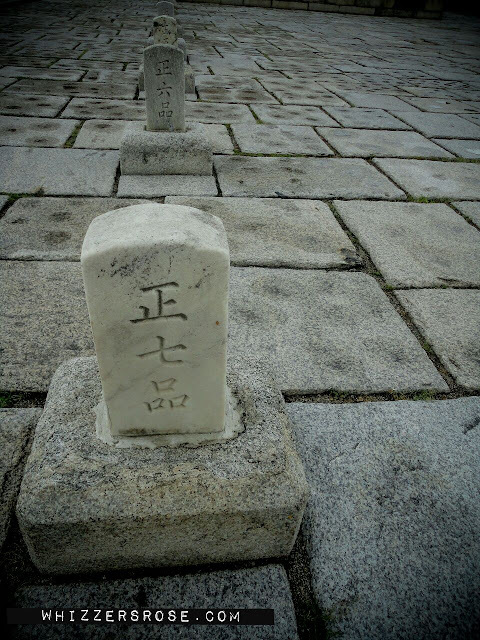 One cannot enter this garden without the permission of the king. This is when it started to rain and later it rained so hard, The ground is thankfully sandy so at least it's not as muddy if it was ordinary soil. The wind was very strong and we decided to quit hiking and turn back near the end of the the 1 hour and 30-minute hike and were very much soaked even if we brought umbrellas. Ancient belief says that once one enters this gate, one will not grow old-kinda equivalent to the western fountain of youth. 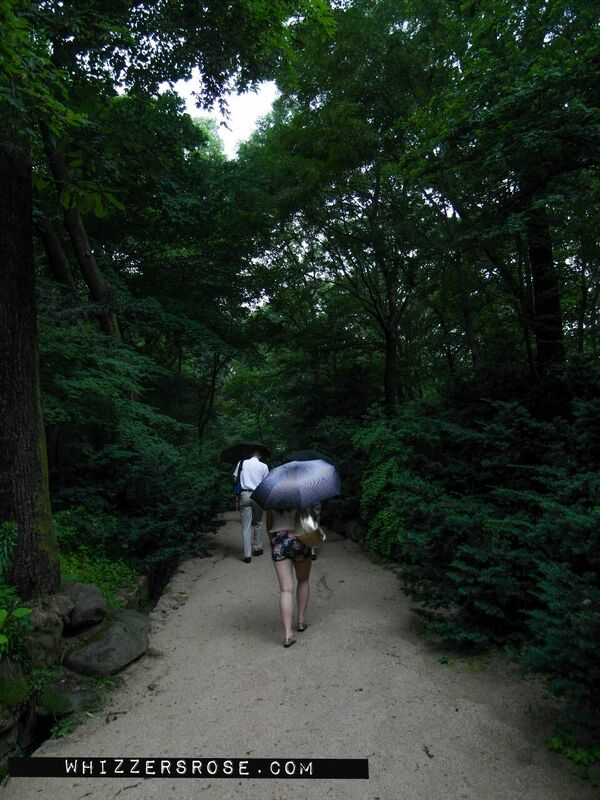 The hike was really tiring and I didn't want to go up and down any subway stations. Anguk was especially steep without any escalator. So we rode the bus from the Palace to Lotte Department Store. 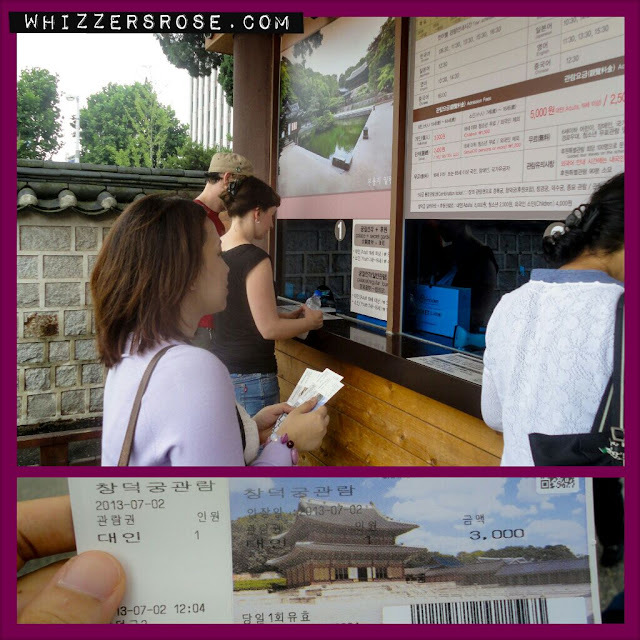 So from Changdeokgung Palace we rode blue bus no 151 and stopped at Eujilro1-ga station where it is conveniently near the Lotte Department Store and Duty free. Lotte Department store is HUGE. I tried to get a picture of their shops but I saw a saleswoman eyeing me warily-so I didn't. At that time there was an end of season sale at their duty free shop on the (9th to 10th floor). The downside is if you purchase brands like Le Sport Sac or other foreign brands-you cannot take it with you to the hotel..You have to claim it at the airport. It's not that I was worried about not picking up the things you bought, what worried us is that if you have a limited baggage allowance, you can't make an estimate of your luggage weight. Furthermore, the airport only allows you to check in 3-2 hours before your flight time so you have at least 2 hours to find your package claim counter/kiosk in Incheon which is also HUGE that it might take time. If you're into Korean Cosmetics-you can buy them at the shop and take it back to your hotel. BB creams are sold in packs of 12 at only 30,000 won- but I didn't buy though because I was thinking I can't possibly use all of it-and remember, creams also have expiry dates but you can have them as "pasalubongs" but it also depends which people you are giving it to since not all skin types are the same. I also bought my favorite Laneige BB Cream at this mall and the saleslady was very nice and even told me she just got back from Cebu. She showed me her sunburns :-) I wonder why Koreans love Cebu-must be the proximity to the beach. 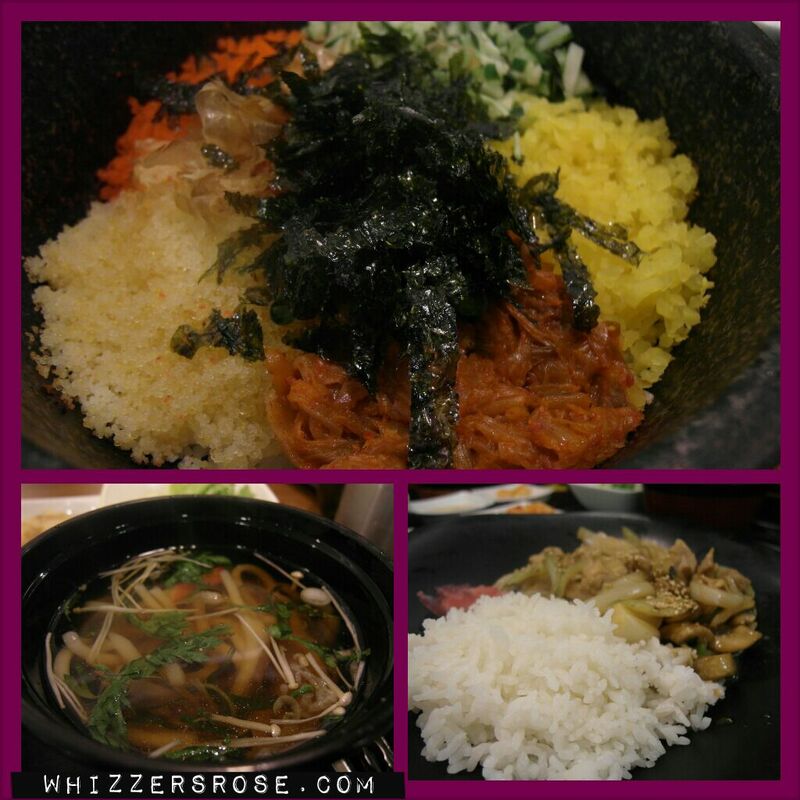 Don't know the name of the Restaurant since I can't read Korean but the food was good! After that, if your staying at Namsan, you can cross the street to Noonsquare Department Store where you can walk back to Myeondong Station and to back to Namsam guesthouse. 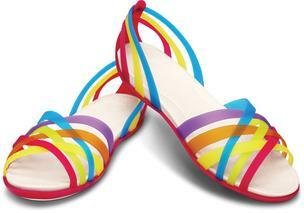 You'll be walking past shops and shops of Less More, Skinfood, Aritaum, Etude, Missha, Giordano, Mango and etc. 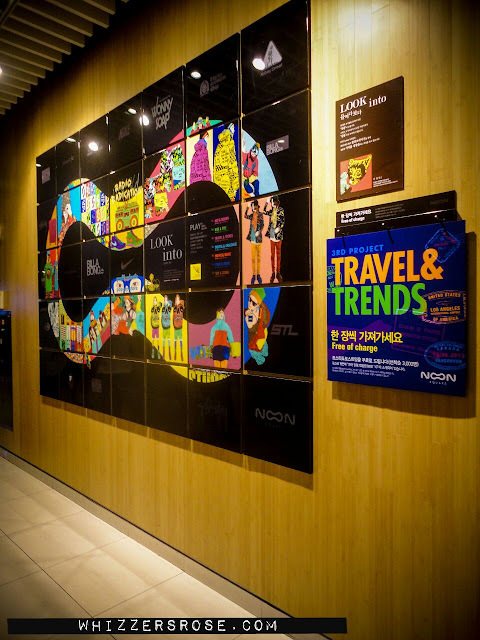 There's also a mall called Tabby which is just located right near exit 5 of Myeondong Station which is thankfully with an escalator. Didn't buy that much except for Korean cosmetics since we found out that price is cheaper here in the Philippines-possibly the reason why Koreans shop a lot here in the Philippines. Even on sale, there's still a big price difference. What I found cheap in Korea would be Crocs. A Crocs sandals that I've been eyeing here in the Philippines costs as much as PHP 3k but in Kore it only costs about PHP2800-2900 plus you can keep the receipt and have the tax refund at the airport. Alley beside Noonsquare where you can walk back passing thru Myeondong shops right back to Namsan. Halfway home, rain poured again so we made a quick detour and snacked at Pizza Hut. It's on the 2nd floor and it's hard to miss this one. Pizza is expensive -for the four of us, pizza is as low as 17,000 won. When you see this building, it means you're near home :-) Just cross the subway and you're back to Namsan. 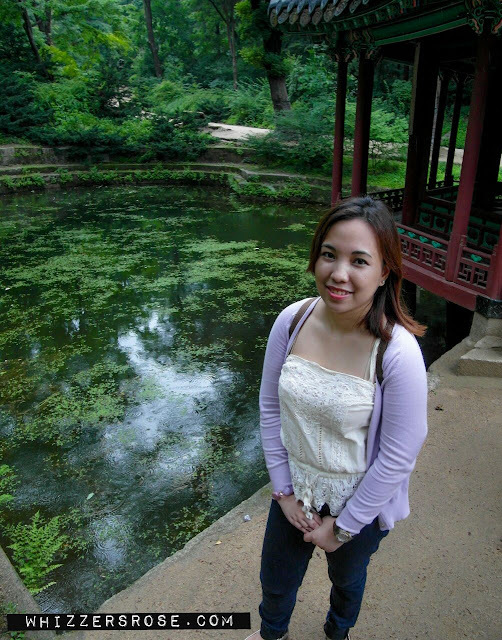 When I first started blogging, it was a secret online diary at mydeardiary.com (?) which I started in highschool 11 years ago (whoah! that's a long time ago already). I had forgotten about my password and even my username and didn't blog or kept an online diary anymore until the start of the Meteor Garden wave that started while I was in 2nd year highschool. I discovered forums like the now defunct tvseriesensation and later on soompi. After the Meteor Garden fever hit the Philippines, it was the advent of the Hallyu wave that was why I later became a member of soompi and got active in their forums especially when I got addicted to korean dramas like "Loving You", "Fullhouse" and "Save the Last Dance For Me". It was through soompi that I rediscovered the love of blogging again-this time blogging publicly.I was browsing through soompi and found out that a lot of people actually kept online blogs and so at that time I started blogging via xanga and later on transferred to blogger. Bottomline is, my blogging today can also be credited to that time when I became a kdrama fanatic. My ultimate fave-Summer Scent. 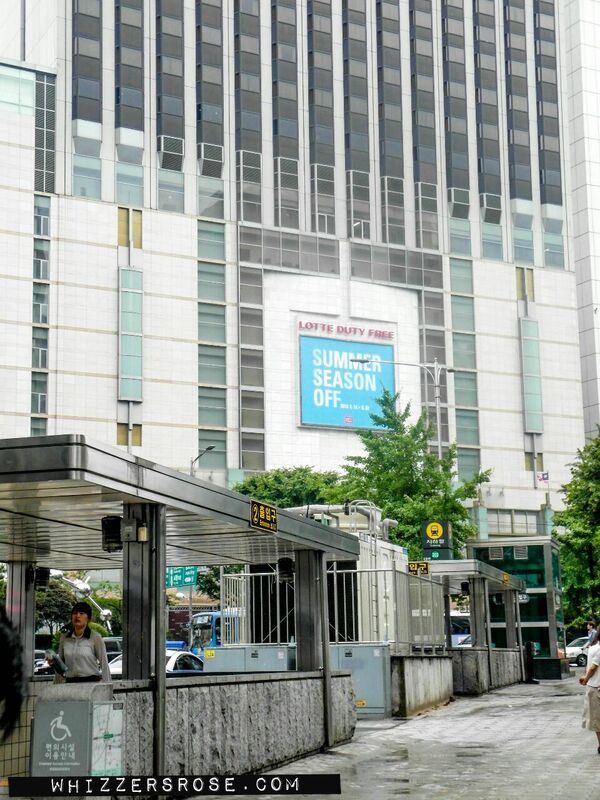 Incidentally, it is summer in South Korea right now. 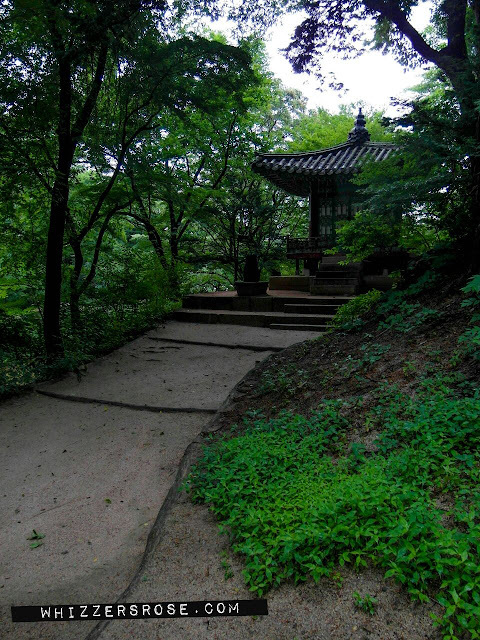 A lot would recommend visiting Korea during Autumn but I don't see why summer season would be inferior to autumn season not because I went there during summer. Summer in Korea is when you see the flowers bloom and the leaves so green and the fresh cold breeze blows. I have been looking for this album for the longest time, I've even tried to place an order thru kabayan central but with no such luck. 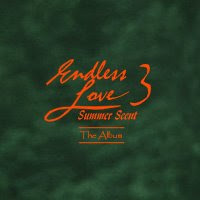 I want this album badly so if anyone knows where I can buy this album- tagalized versions of the songs from the original Summer Scent OST please contact me. 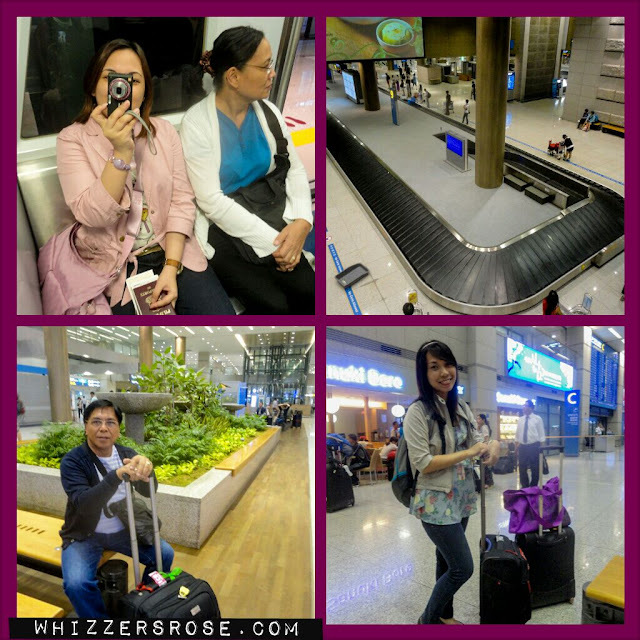 Consequently, I am now reaching my 100th post and it's the perfect timing to blog about my latest international trip to South Korea. I was actually saving for 2 years for my ultimate dream to go to Europe but then things happened and I realized it wasn't the perfect time just yet and though I have saved enough, I thought that it would better to save a little more for the rainy days in case this ultimate dream pushes through. I don't want to be left bankrupt after fulfilling my dream though. 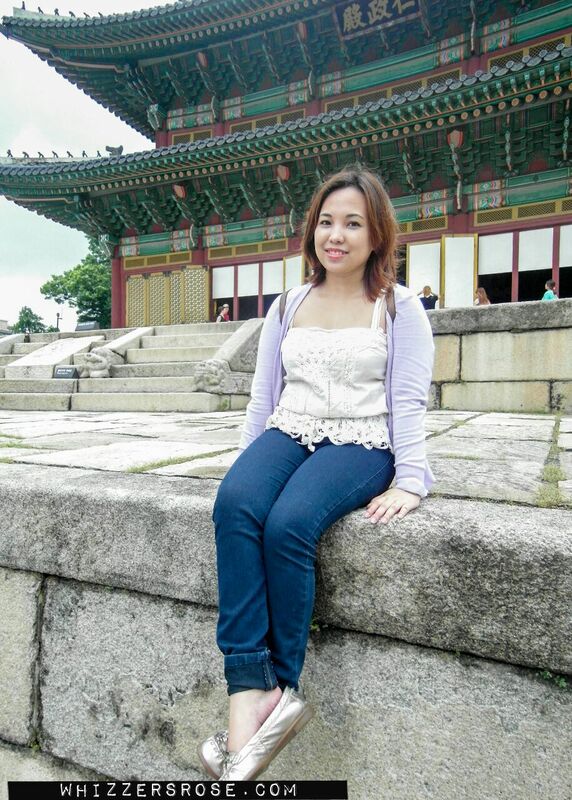 But, the wanderlust in me craved for another adventure so when Cebu Pacific had their "piso fare" last year, I grabbed the chance and booked a ticket for my family for Korea. It was actually a leap of faith since I know that it won't be easy for me to get a visa since there are no Korean Consulates in this city so I have to got to the capital to get visa. I applied for my visa last May. 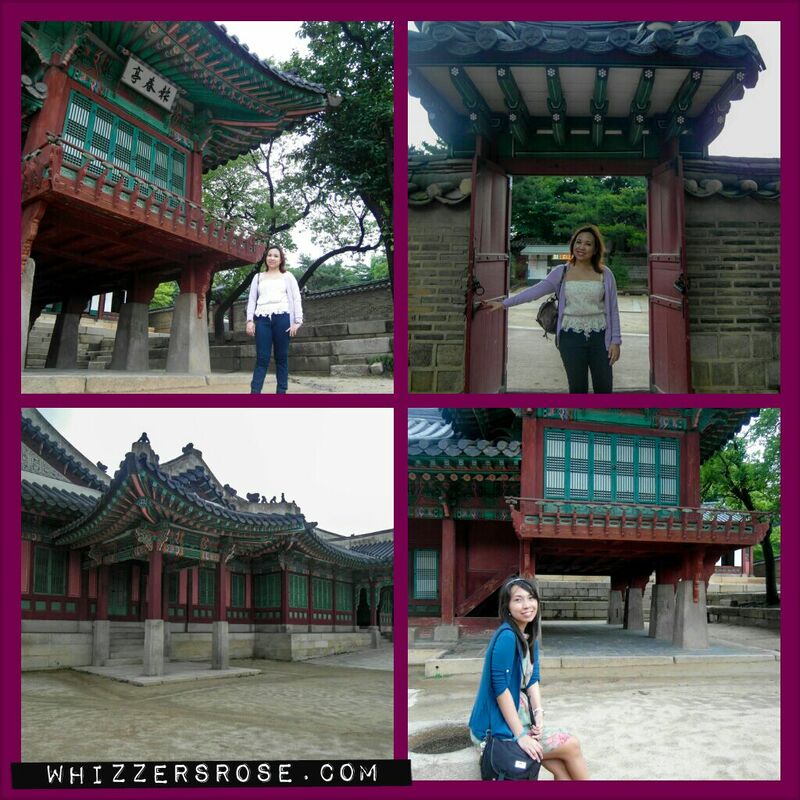 Applying for Korean Visa was a breeze! 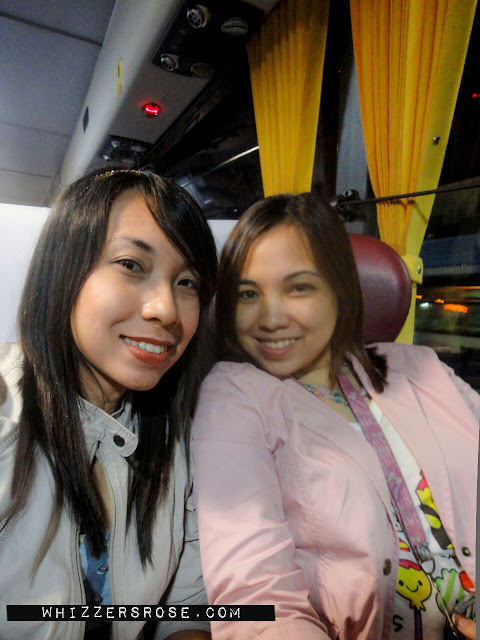 Going to Bonifacio Global City (where the Korean Emabassy was located) from Mabini Manila (where we were billeted) took even longer than the visa applicaton. What do you have to submit if you're not employed? This question has been repeated n times on forums and when I submitted my requirements I even overheard someone arguing with a checker who gives out the forms at the embassy. He was submitting his father's business documents and indicated on his application that he had a business which is actually a conflict if you think about it-legally it's not his business. My father is not employed anymore and what I submitted was his marriage contract to my mother who was employed and his bank certificate and he was approved. I just wrote on his papers that he was already retired and he was paying this trip through his savings and he got approved. I had to sadly do away with going to Nami Island since it's too far and also Lotte World since a lot of reviewers and even koreans say is a waste of time since it's old and compared to Everland - just for kids. 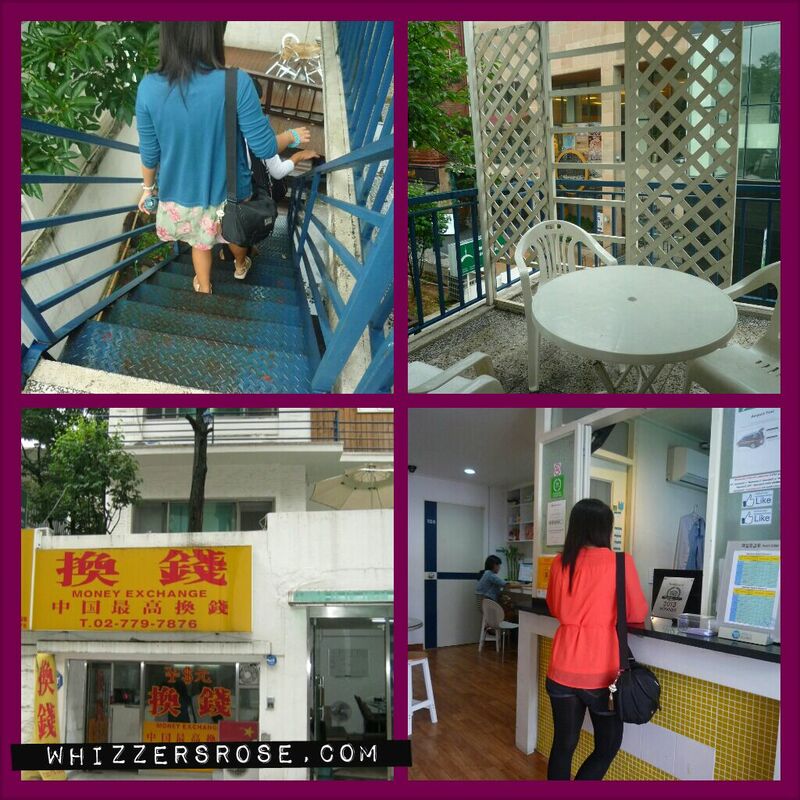 I was also contacting guesthouses where to stay. 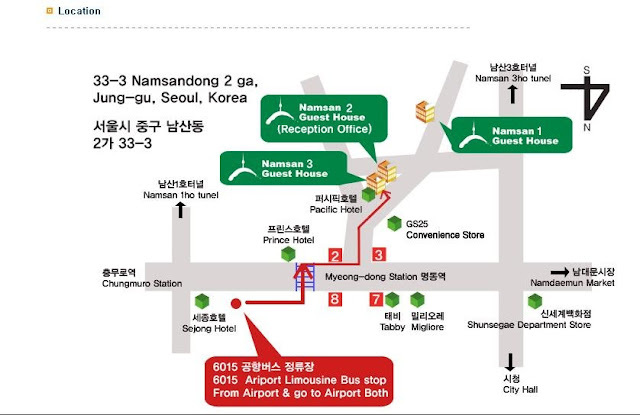 A lot recommended Namsan Guesthouse and Hongdae Guesthouse. Both were prompt in replying to my email queries. 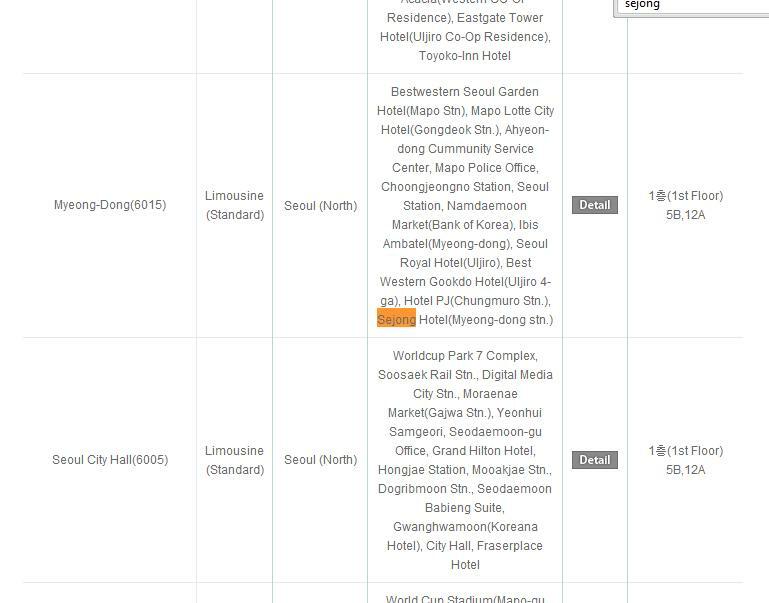 I initially wanted to stay in Hongdae since it was recommended by people around my age for those who want to go where the "young crowd" is but then I also had to consider where I we would be going and finally- I settled with Namsan since its location is very much convenient to us. 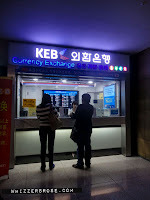 It is near Myeongdong, Myeondong Train Station and even 10-15 minutes uphill walk to the N Tower cable car and it was cheaper. I was quite disappointed since it was stated that we were going to ride the newest Airbus A330 to Seoul but then when we went to the airport, we found out we were riding the A320 and I got really nervous since I know from research that most of the time those who are flying across the Pacific Ocean usually encounter strong air turbulence. To add more to my discomfort, traffic at NAIA is bad that I was quite worried about the 15-minute rule especially when a huge airbus preceded our small plane. 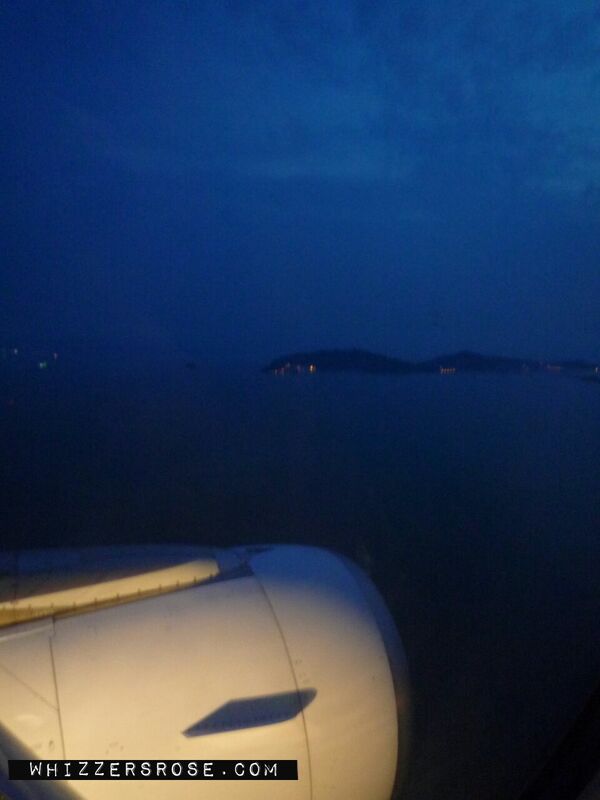 For once my heart felt like it was going to stop when we had a very bumpy take-off. The planes right wing actually faltered/dipped upon take-off- I guess due to vortex left by the earlier plane (just a guess) but after that jerky take-off , turbulence was mild as flew for 3 hours and safely landed (BTW a very smooth landing) at Incheon. 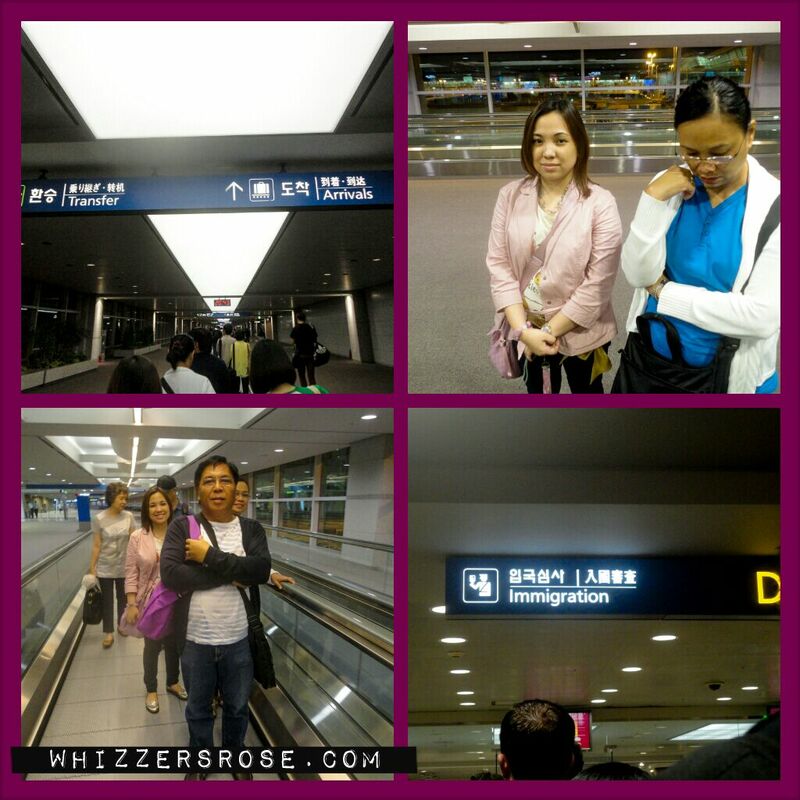 Unlike the crowded HKIA and Suvarnabhumi, Incheon was not. It was a breeze getting through their immigration. Upon arrival we changed USD 150 as rates are cheaper at the airport. I had informed my parents that we are not riding a taxi from Incheon to Myeondong which we haven't done before in our international flights (we rode taxi to and from the airport in BKK and HK) as the price of taxi from Seoul to Incheon costs 60,000-80,000 won. The one on the information desk advised us to take the taxi since there are four of us but that is at least 20,000 won more expensive than taking the airport limousine which only charges 10,000 won per person. The bus was comfortable and I opted for it rather than ride the train and transfer from one station to the other which is quite a hassle in my opinion. It's a bit more expensive than the train though. So here's how to ride the airport limousine bus. When you exit into the arrival area, exit gate 5B, that's a gate with an information table, that night the information clerk was wearing orange (dunno if it's the uniform). When you exit, there's a small ticketing booth on your right side and pay 10,000 won for a ticket and wait for bus 6015. There's no need to worry about the stop since there is an announcement of what station the bus will next stop in English, Japanese, Korean and Chinese. Tadaaaah! Our magazine read for the ride is filled with Plastic Surgery Ads. 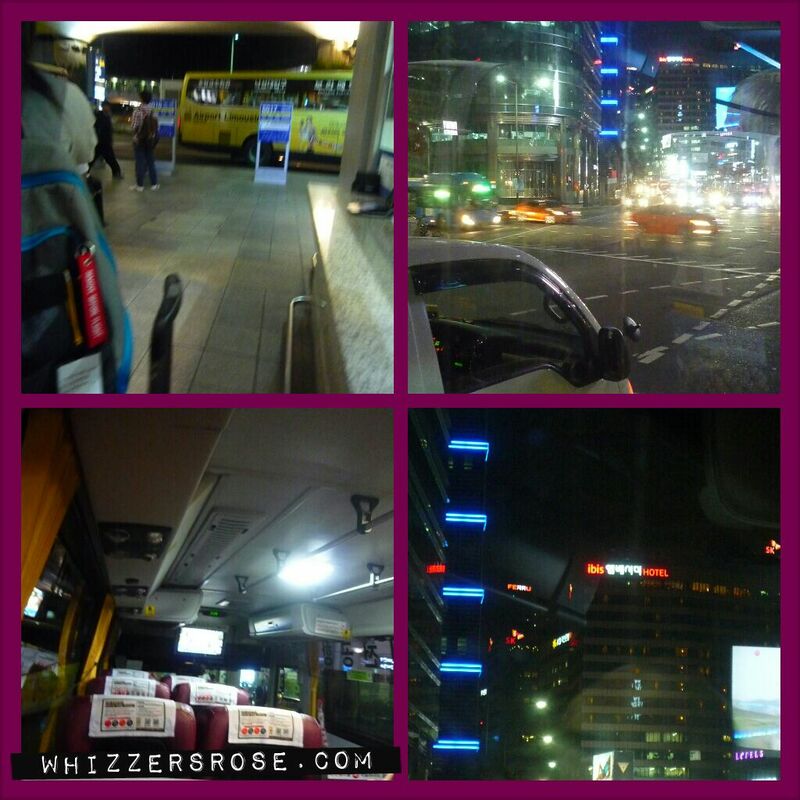 We got dropped off in front of Sejong Hotel and then we crossed the street towards Prince Hotel. We then walked upwards until we reached Pacific Hotel. All of which my dad mistook as our hotel.(hehehehehe). 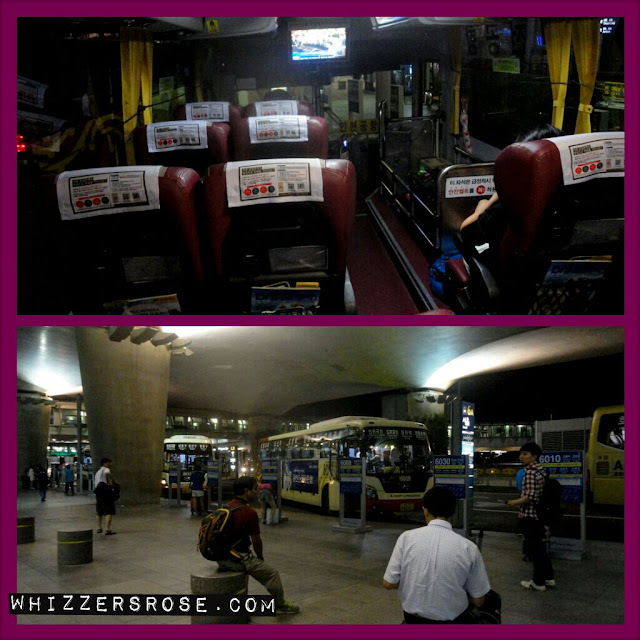 When we reached Pacific Hotel, we went to the right side to reach Namsan Guesthouse 2. We booked the room for three persons and added an extra bed. For those who are "maarte" or those who are used to hotels-well maybe this is not for you since the room consists of mattresses, a small lcd tv and a private bathroom. There were no cabinets or sidetables etc. but we have an outdoor table where we eat our breakfast. We also tried asking at Pacific Hotel for their rates since my parents were tempted to jump ship and transfer hotels. Pacific Hotel gave us their best price for a suite room since there are 4 of us and unlike our hotel in HK when they don't mind that there's four of us in a single room-they were strict when it comes to their 2-person per room policy. The price for the suite room was roughly PHP10,000 a day x 4 nights = PHP 40,000 compared to our room at Namsam which only costs roughly PHP14,000 for 4 nights already. 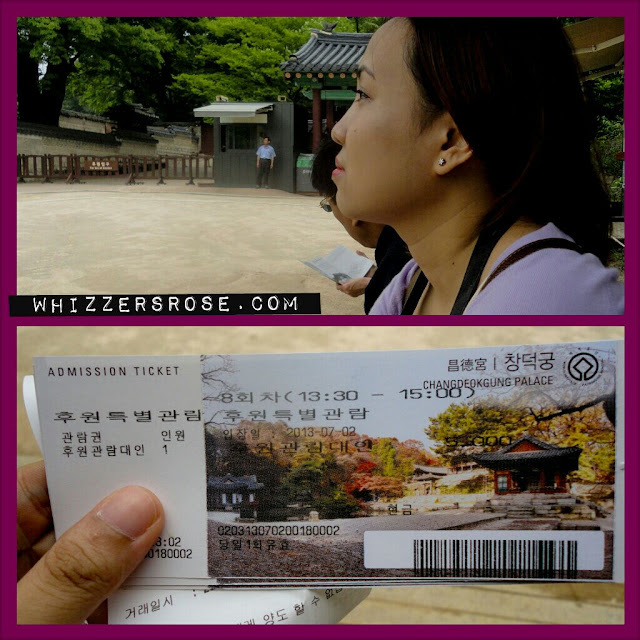 In the end the PHP26,000 we would save prevailed and we ended up staying our entire trip at Namsan. As you can see, hotels in Seoul are really expensive compared to hotels in Manila since you can get a decent 2-3 Star Hotel at the price of 1900-2500 per night. This is how Namsan Guesthouse looks like. I took these pics in the morning. 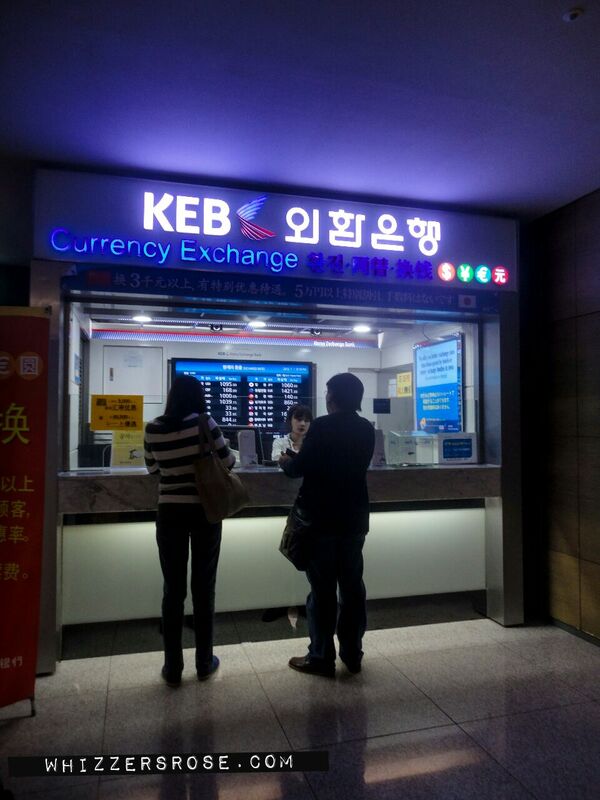 Our plane arrived at about 8:30 Seoul time so by the time we checked in the money changer (which is conveniently situated below Namsan 2) is closed already, I had to pawn surrender my passport since we haven't paid the agreed amount yet of 360,000 won. After checking in, we managed to find out a nearby Mcdonalds where we ate dinner. I just don't understand why it won't show on google maps though when I was looking for a Mcdonalds prior to this trip. 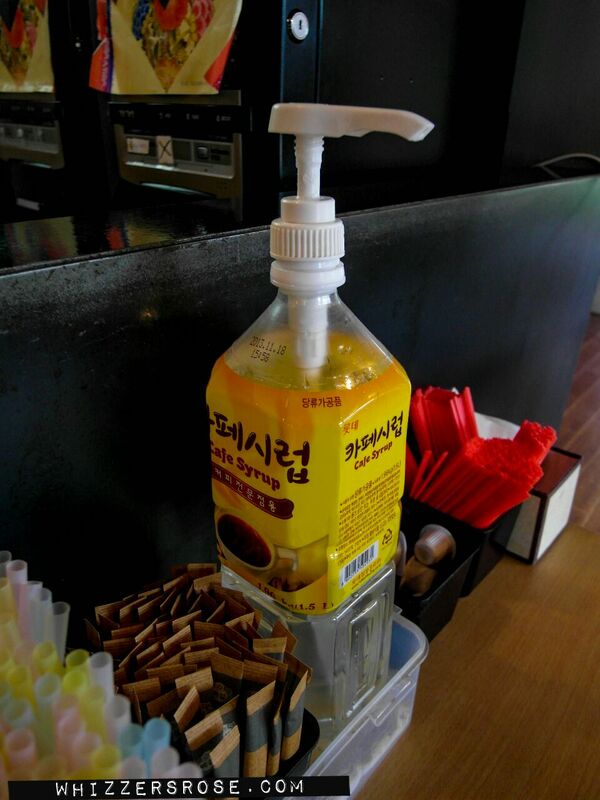 A meal at Mcdonalds costs 5,000-9,000 won. What amazed us was that unlike here in the Philippines, they have to clean up on their own whenever they finish their meal which actually the practice in the US as well. Funny thing happened, my sister concluded that there was it was a bottle of hand sanitizer rather than a bottle of syrup near the disposal are and squeezed a generous amount on her hands. She wondered why it was sticky and smelled sweet-too late when she realized it's actually syrup. EPIC FAIL!